Wonderful for the mantlepiece, on the dining table or in the garden are the enchanting fine porcelain tea light holders, the Luna Minis. 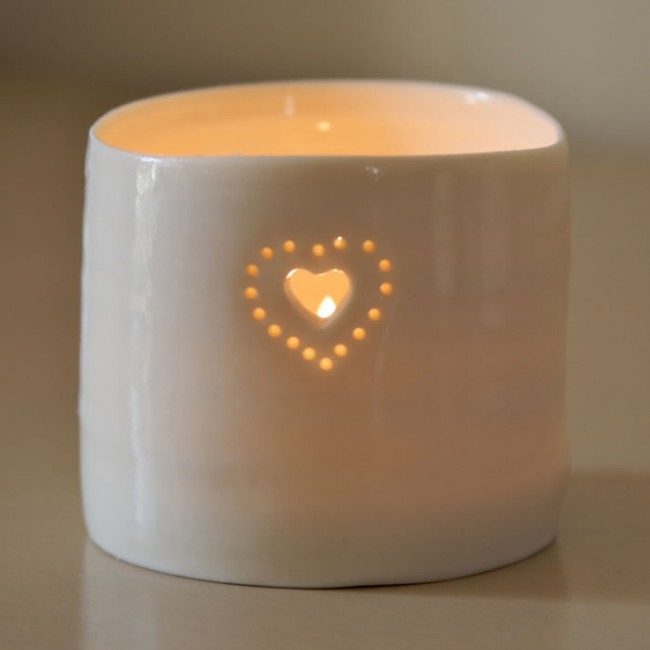 Each is hand thrown and decorated with tiny hole patterns that give a magical flickering glow. Natural ivory white porcelain with glossy transparent glaze. Mini's are approx 5cm dia x 5-7cm high.